Time has always been a very fluid construct in fiction. Once you’re no longer bound by time, it can become suddenly very difficult to keep linear timelines straight! This week Steins;Gate 0 yet again played with time and just a little with our minds. Although only two weeks have actually gone by since the last episode of Steins;Gate 0 and the one time between four hiatus, in he show, several months have passed since Kagari’s sudden disappearance and the team is at an impasse. it’ll be alright – oh wait…you’re in Steins;Gate…. This is probably yet another manifestation of my bias but I found this extremely clever. The forced break between episodes imposed a certain pacing that will be sadly lost on binge viewers. The montage of grief, frustration and finally resignation shown by the characters as they fruitlessly tried to find any trace of Kagari, had that much more impact for it. After discovering it in the last minutes of the last episode, the mysterious facility Moeka and Okabe went to, failed to provide any clues and was ultimately destroyed offscreen with no more than a split second mention. I had been thinking about that place for weeks. Okabe’s disappointment was mine. We see that after all these months life has settled back into a semblance of normalcy for our heroes. Okabe is studying hard while considering Professor L’s offer to go to America. Meanwhile Daru and Suzu are trying to lure new best girl Maho (honestly how adorable was disheveled and blushing Maho???) back to Japan and into helping them figure out the time leap machine so they can Save The World! Faris and Ruka have gone back to being fairly irrelevant supporting characters and Mayushii, who was probably hit the hardest by everything that’s happened, is looking really great in a school girl outfit. It’s difficult to make characters move on from a dramatic situation without making them look callous or lessening the importance of the event. I believe that making the audience wait for this episode has helped with that. We ourselves have put some distance between Kagari’s disappearance and today. We can relate to the characters slowly getting onto something else. I don’t know if this counts as meta on the part of the narrative but whatever it is, it’s smart. Of course, now we have to remind the audience of all the important parts, right? There were three main takeaways as far as I’m concerned. Fubuki’s return to the hospital and Professor L’s surprise presence there, reminding us of the potential second Reading Steiner and how suspicious L is. Suzu and Daru’s hounding of Maho reminding us that the WWIII treat is still very relevant and that Maho is the new Okabe. Just look at that exhausted and beleaguered expression on Maho’s face and tell me that’s not the spitting image of a certain mad scientist who bit off way more than he could chew? I hope this is a sign that my wish of having them explore more of the neuroscience aspect will come true. Finally Kagari’s own story is highlighting the importance of the Amadeus experiment and the potential for memory transfer through both space (into machines or clones) and/or time (bananagel anyone?). It’s clear the she is being controlled. They are throwing clues and red herrings all over the place about who’s behind it all but I’m not sure that even matters. The real question is why? If she comes from a future where WWIII happened and Okabe’s resistance was defeated – what advantage would the *other side* have in controlling her? Was it always their plan to have her go back in time? These are probably the main story lines we’ll have to look out for in the second half. And of course, let’s not forget that Yuki is Suzu’s mom and Daru’s future wife. They do bring that up a lot. It could just be to toy with us a little and inject a little light-hearted romance. 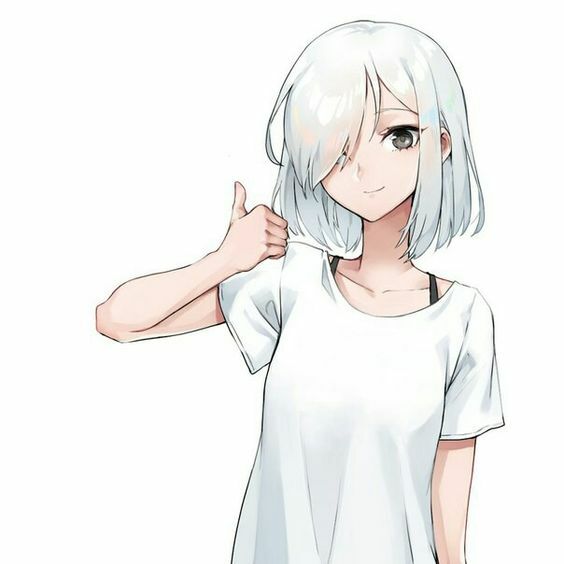 To be honest there’s enough going on already and I would be perfectly fine if Yuki was just a nice girl who enjoys ha girthy man. On the whole I enjoyed this episode even if it felt like a restart. The way Steins;Gate visual novel narratives are crafted, restarts tend to happen a lot so it’s par for the course. It wasn’t the most exciting one so far but I can see a solid foundation for things to come. You know, every week I try to come up with an actual angle for my reviews of Steins;Gate 0. Something more precise and personal. These are some of my favorite posts to write so of course they tend to be the least popular. They are also the ones that have so far netted me the most friends. We may not be the most populous bunch but we time travel otakus stick together! doesn’t he look like he’s holding a body pillow? It took a few days for me to get here. One aspect of Steins;Gate that I have often gravitated to, is the second best girls. The supporting players. To me, one of the aspects that sets Steins;Gate apart from a lot of traditional harem shows is that the women are all extraordinary and completely self-actualized. It’s not so much that Okabe knows he’s surrounded by extraordinary women, it’s that they know it themselves. they have their own interests, you know…. This week, I remembered what an exceptional badass Suzuha is. Her entire backstory is a bag full of nightmares and she deserves praise for surviving with any semblance of sanity as is. However, it’s not her admirable efficiency and extraordinary fighting skills that hit me this time. It’s her humanity. As fun as that fight scene was to watch, the moment that grabbed me was Suzuha quietly seething with rage at the thought of Kagari threatening her father. Suzu’s cold calm words were much more a promise than a threat. The idea of having fit but relatively small daughter Suzu protecting out of shape but huge father Daru was completely natural, and that rocks. There you have it. Another week another reminder that it’s all about making good memories with good friends. remember when my cousin stabbed me??? Want more screencaps? You know you do! I never properly appreciated it, but you’re right. They really did use the hiatus to great advantage. This was a decent episode, and in a lacklustre season like this one I’m doubly grateful for S;G. But I have to admit when Kagari returns in motorcycle garb, this felt less like a surprise reveal and more like a serial joke. The badguys, whoever they are will always hire girls/women of a particular bodytype just to mess with your mind. And you thought the point was fanservice. Nope. It’s a trickster game, like guessing what die is beneath the cup. if they gain weight they get fired…HR must be a nightmare. Imagine the headache that running an employment agency might cause. You might have to co-ordinate things like – oh, I don’t know – wrist injuries so they have an easier time to pass for each other, just so have an easier time placing double agents? I’m definitely feeling Suzuha and Daru could carry this story right now if the anime focused on them and Daru stopped being completely creepy at random moments. They are certainly the two most active characters in trying to resolve the whole WWIII issue. It would be kind of disappointing for her not to at this point in time given how much this show has done to build her into the cast. So…as I will be the host for next month’s Jon’s Creator Showcase, I will (in all likelyhood) have a little bit less time on my hind to spend writing on my blog (as I will probably be busy reading and collecting the posts people are going to send in). Thank you Raistlin! Yeah these posts don’t do all that well on my site but I love writing them so it evens out! And if you like them – then that’s even better! But there’s no animation. This looked way better to me. I guess they’re lamenting what could of been as opposed to saying the Visual Novel was the better version. Expectations and all that. Love your writing, keep up the good work.